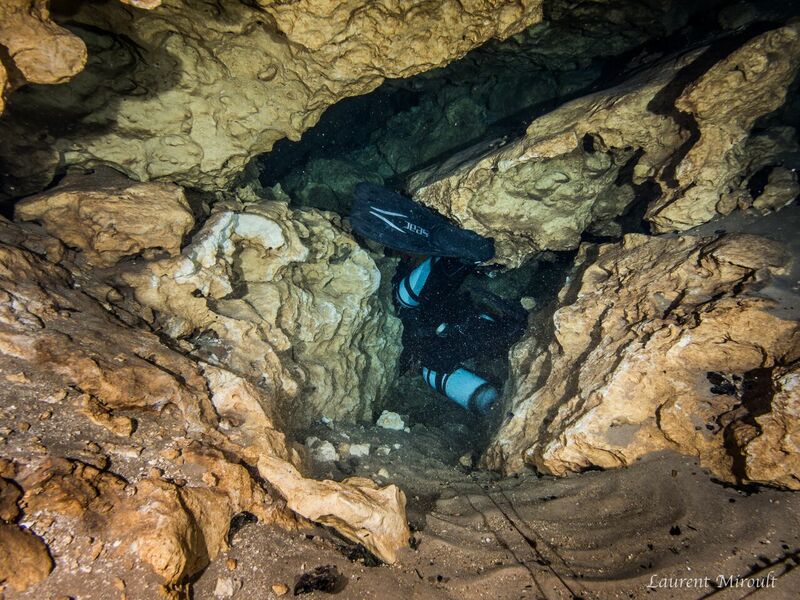 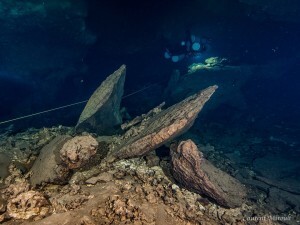 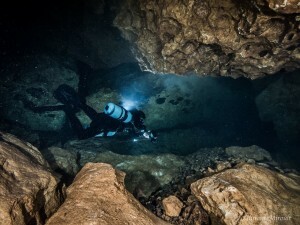 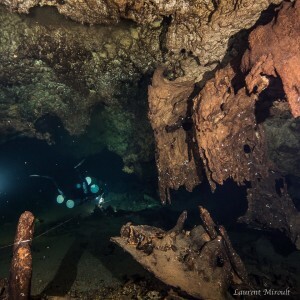 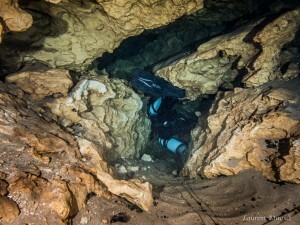 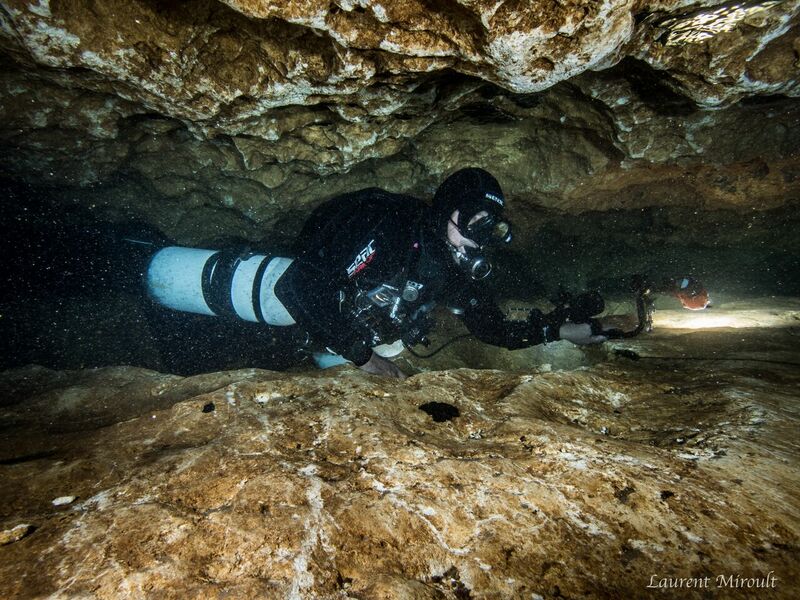 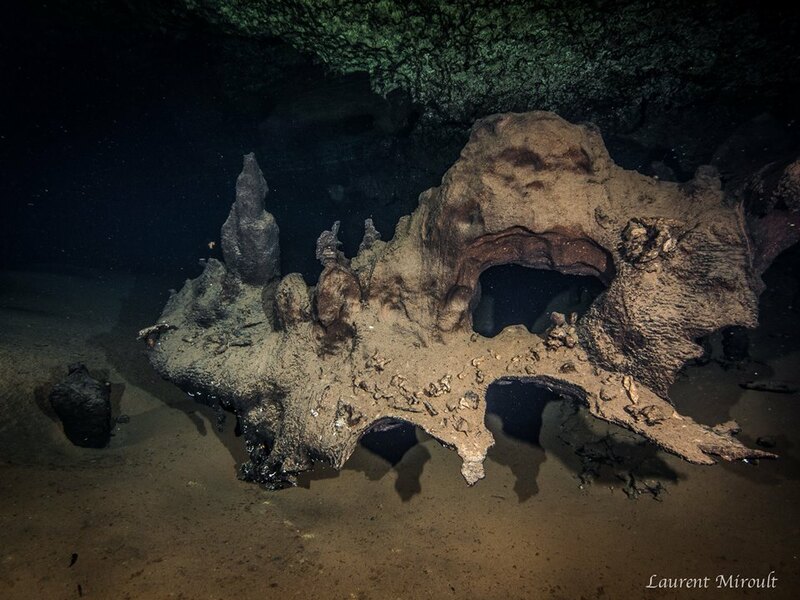 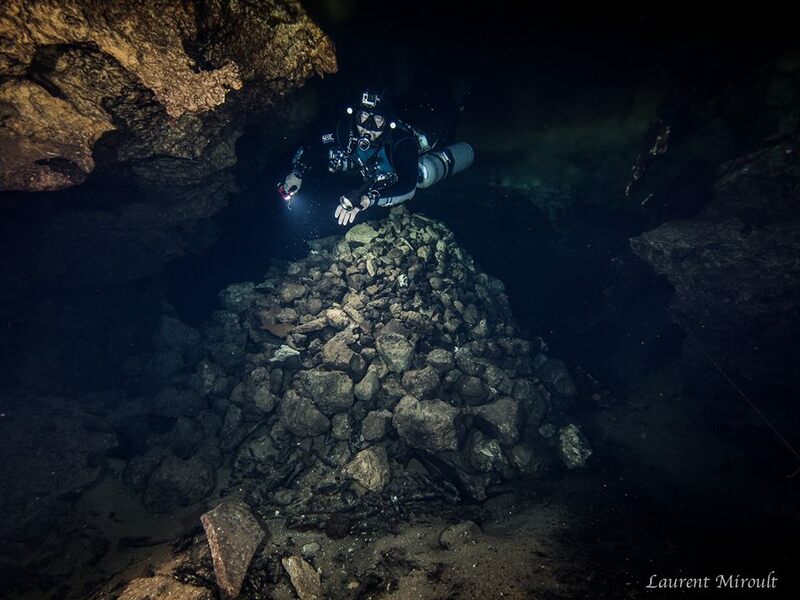 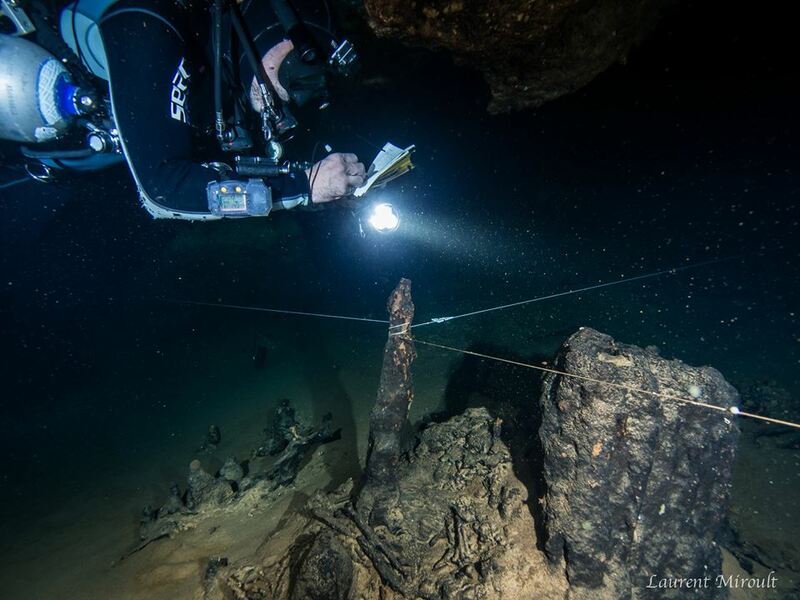 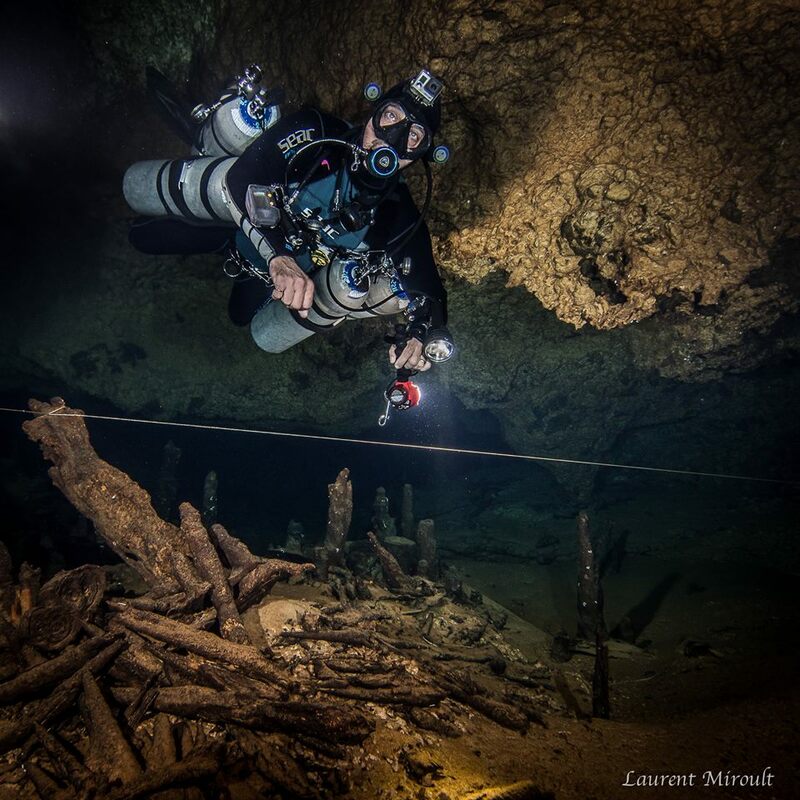 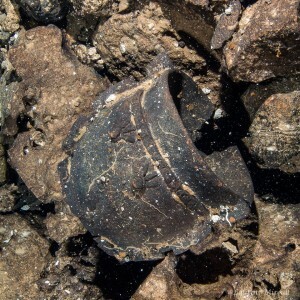 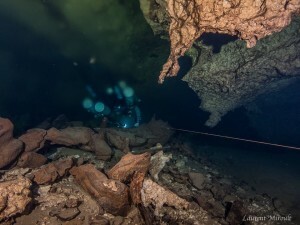 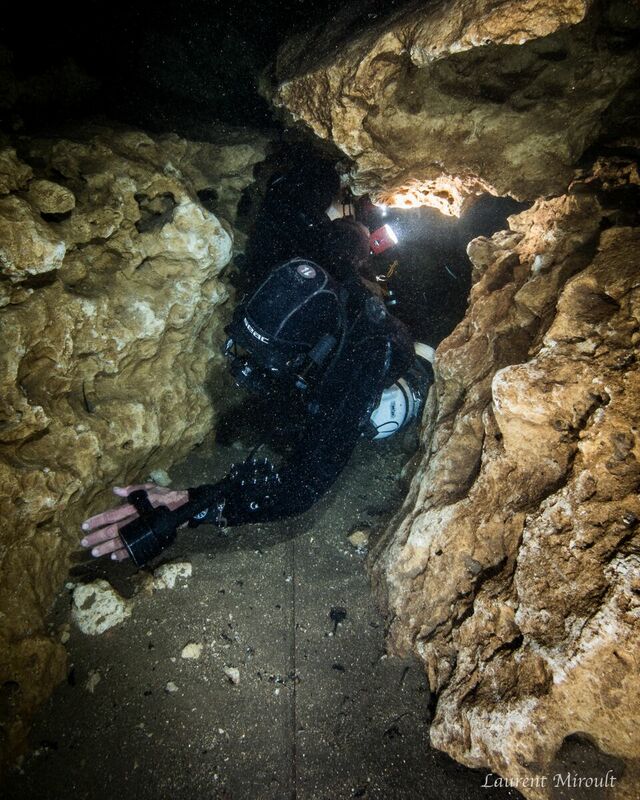 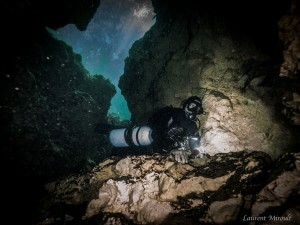 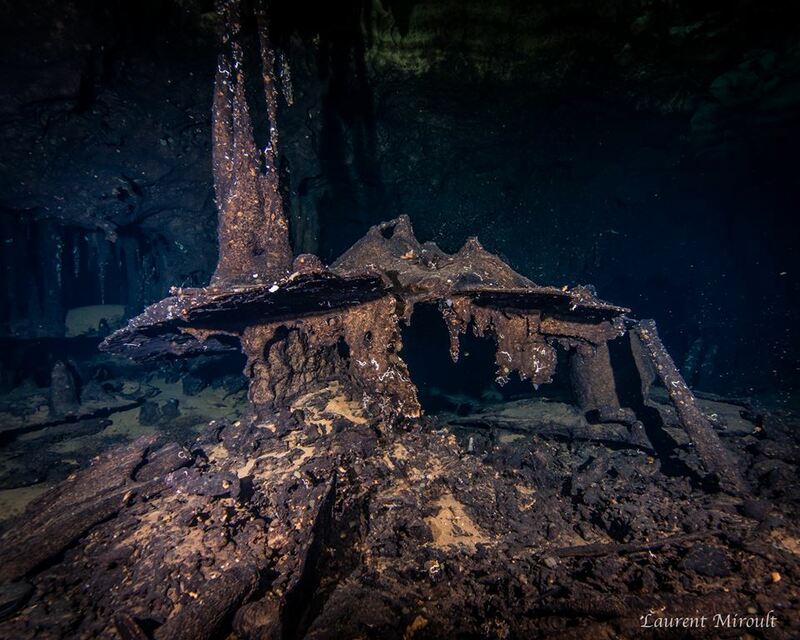 Here at Chipola Divers we have been leading exploration projects in Florida and Mexico for several years. 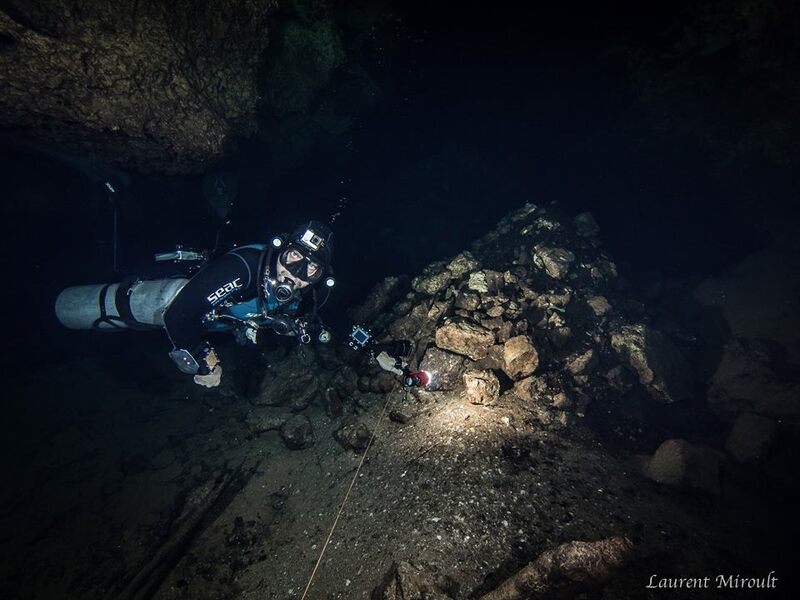 One such project has been in Cozumel, Mexico. 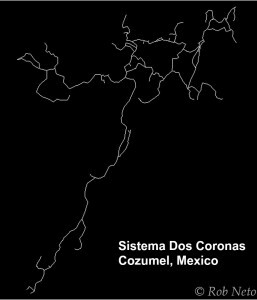 In 2011 we began exploring a system named Sistema Dos Coronas. 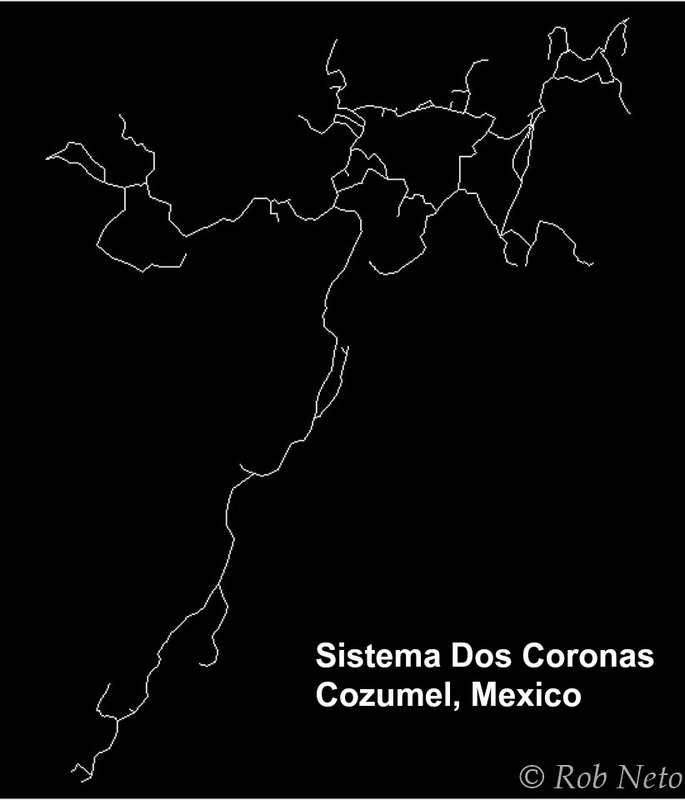 Of the following couple of years we expanded the length of Sistema Dos Coronas to over 8000′ of passage. 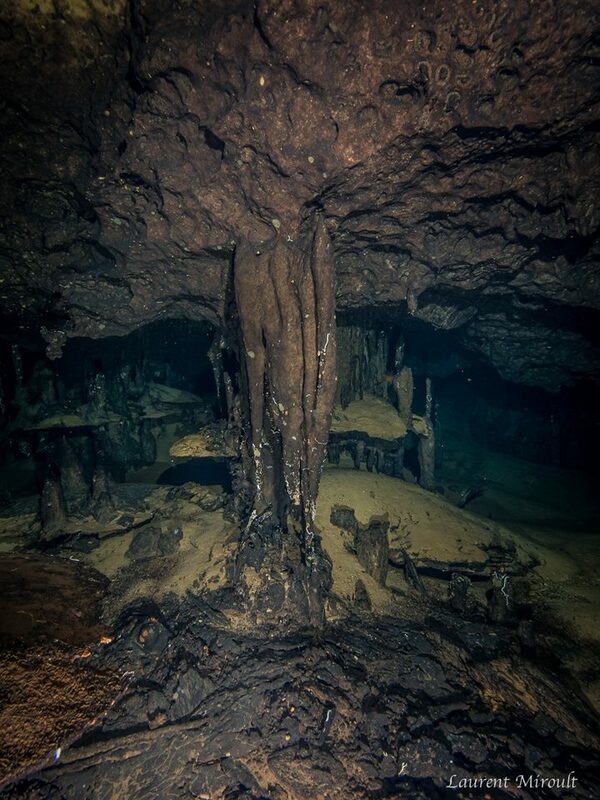 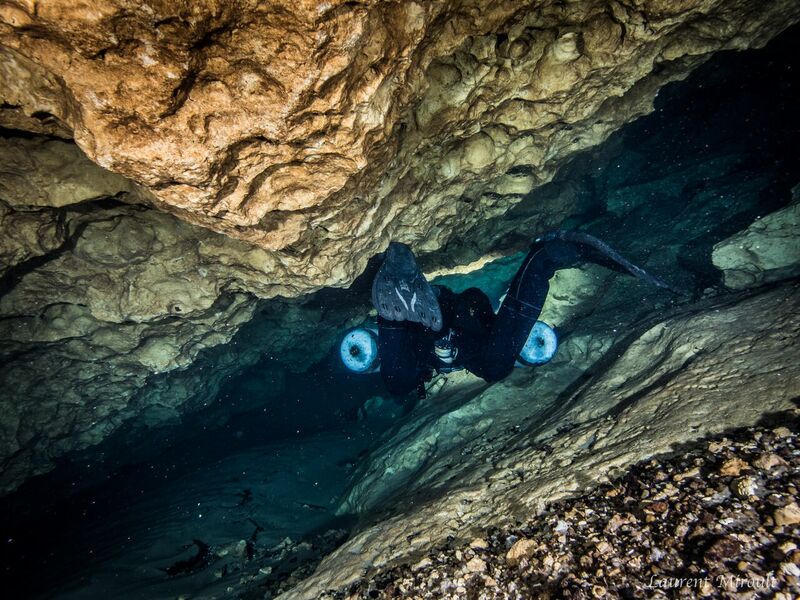 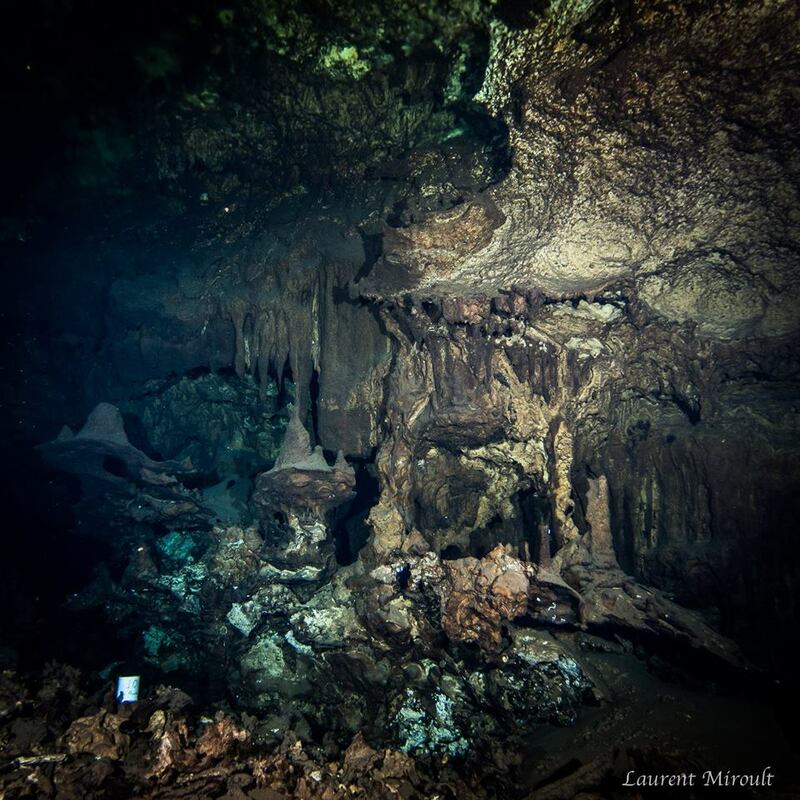 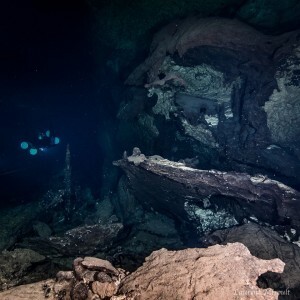 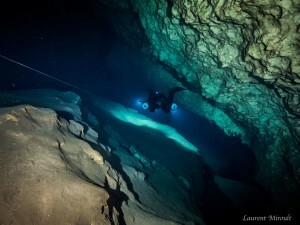 We noticed it was coming close to another system named Cueva Quebrada, the longest underwater cave system on the island of Cozumel. 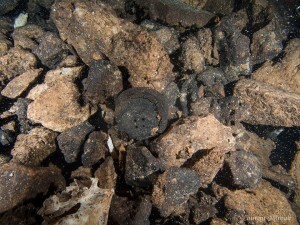 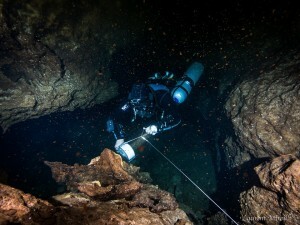 We began focusing our efforts on the areas of Dos Coronas that were coming close to Cueva Quebrada. 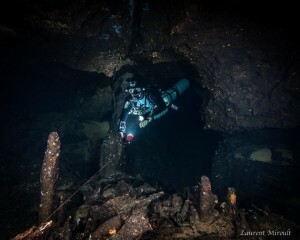 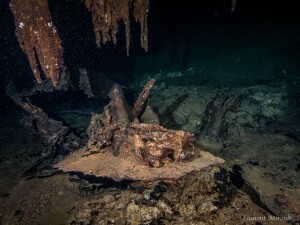 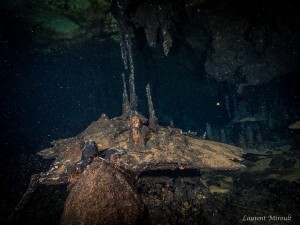 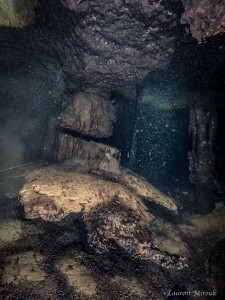 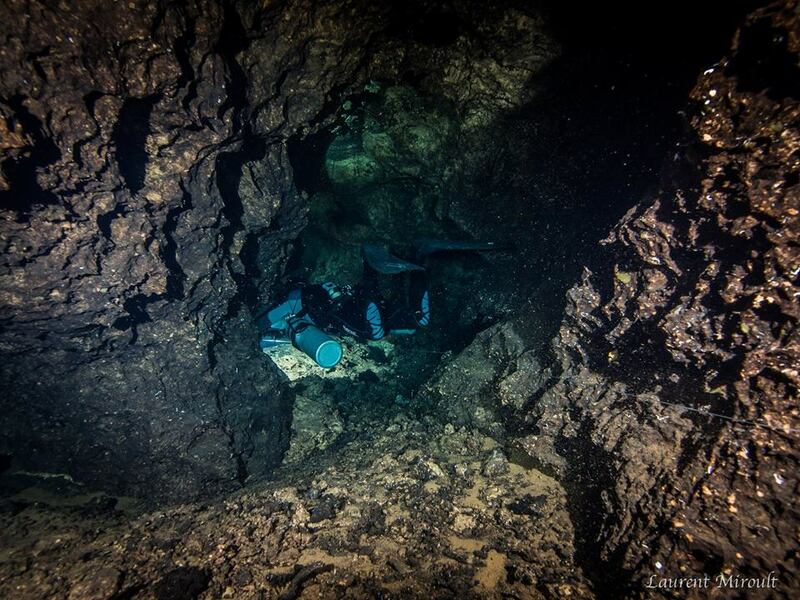 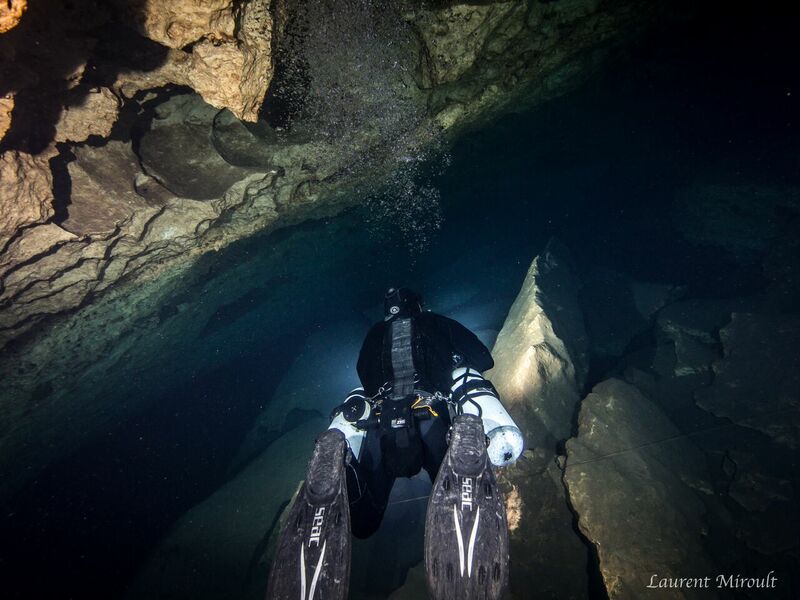 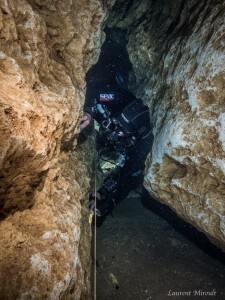 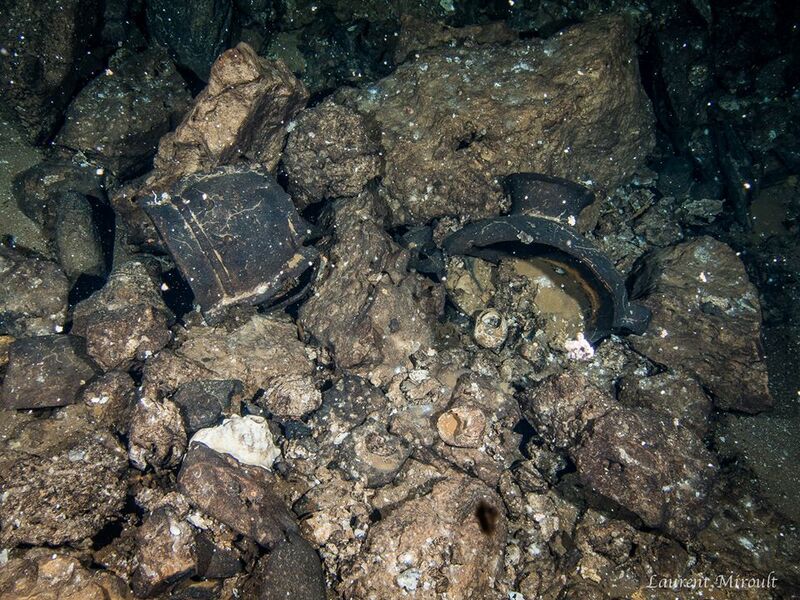 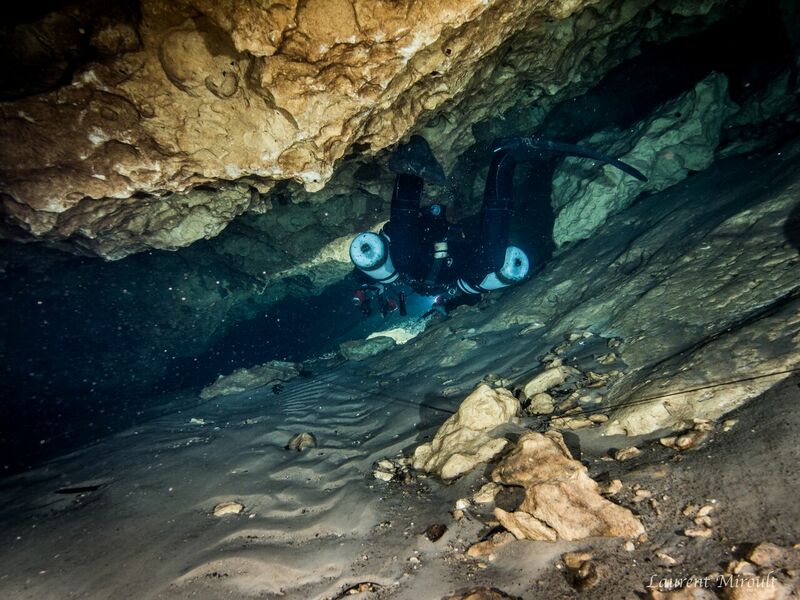 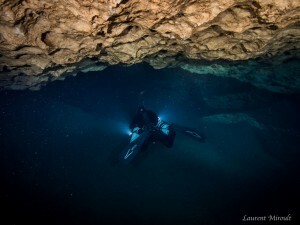 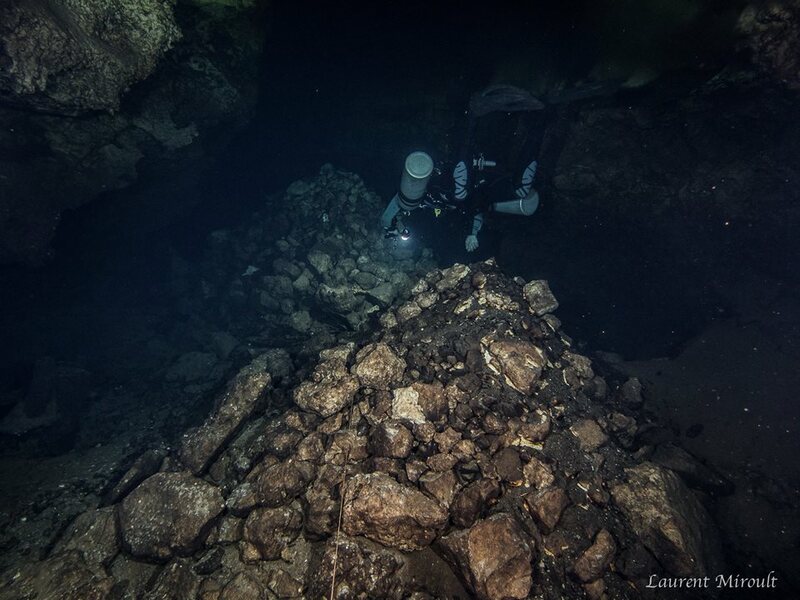 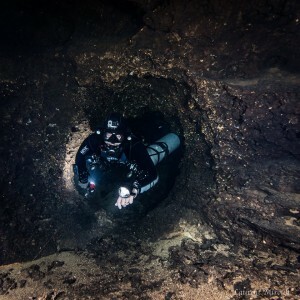 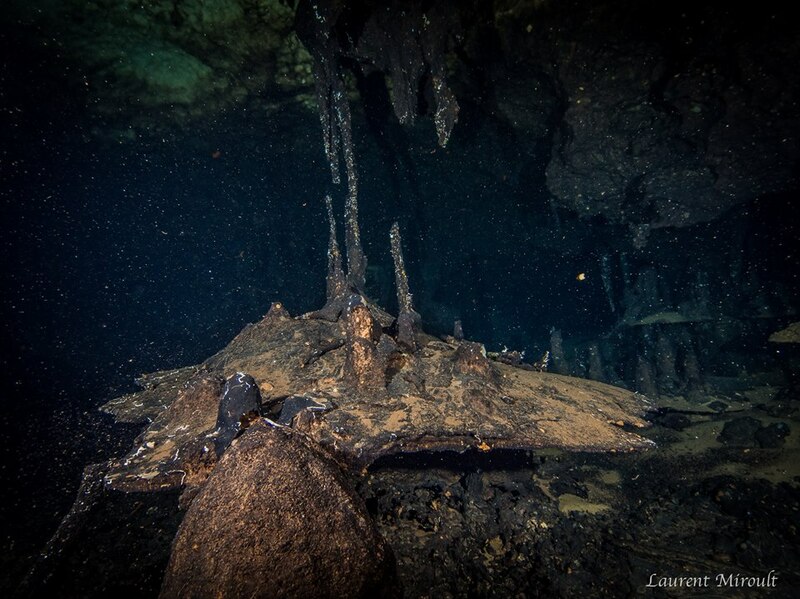 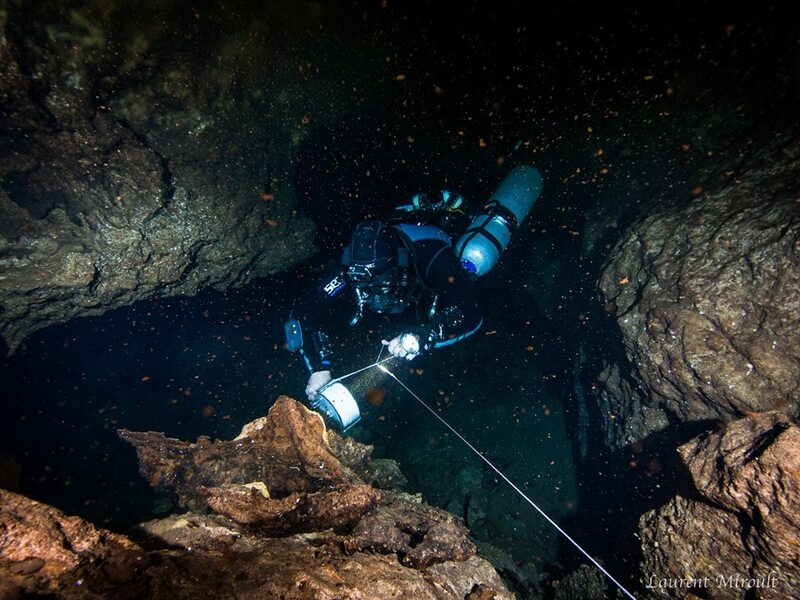 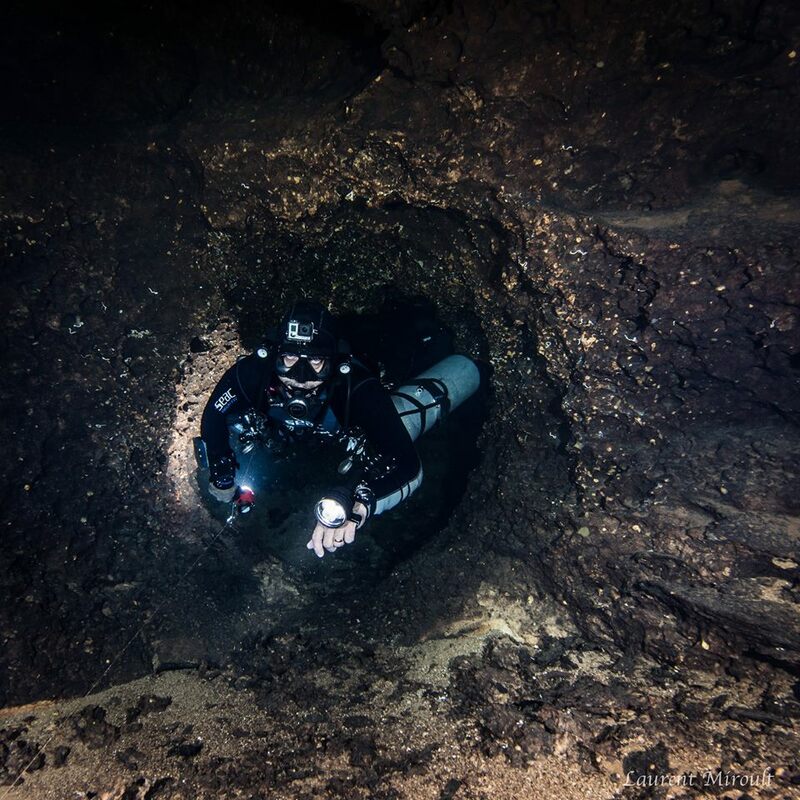 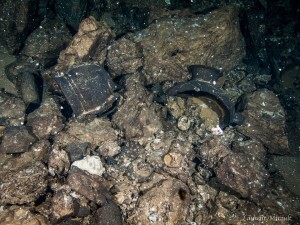 In the summer of 2014 we were finally able to find the connection, a short passage that requires removing both sidemount tanks and pushing them in front to get through but is still tight enough to cause anyone passing through it to get stuck. 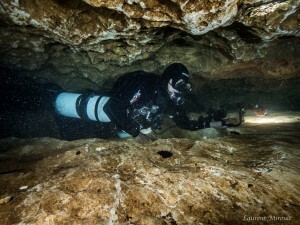 We had just added over 8000′ of passage to the 29,0000′ of length in Cueva Quebrada. 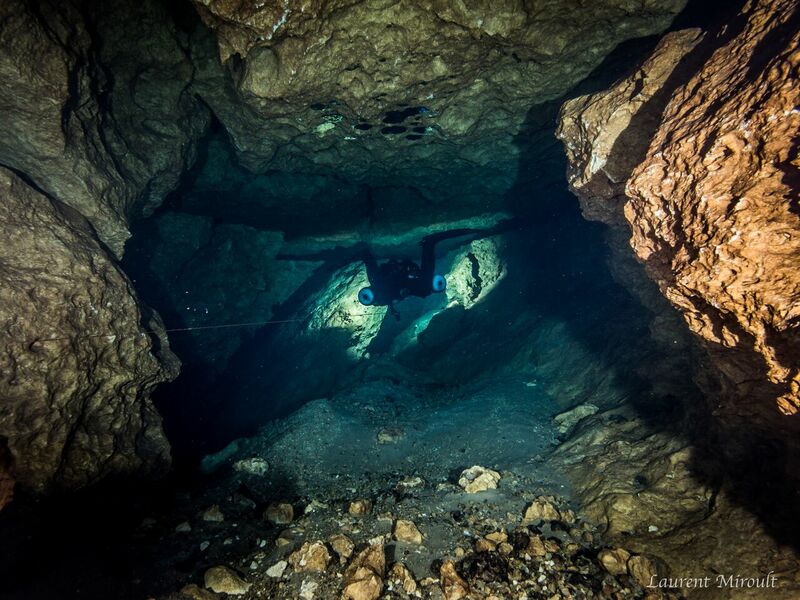 Since 2014 we have continued exploration in Cueva Quebrada and have the current length of the system at close to 45,000′. 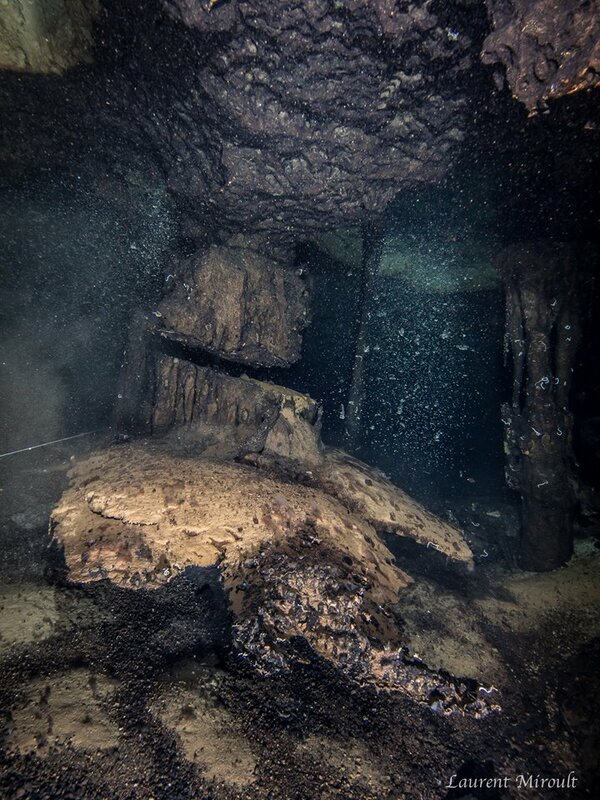 We continue our exploration efforts and continue to expand the known system several times a year. Check out a History Channel episode about Cueva Quebrada. Also check out some of our videos and photos from various expedition trips. 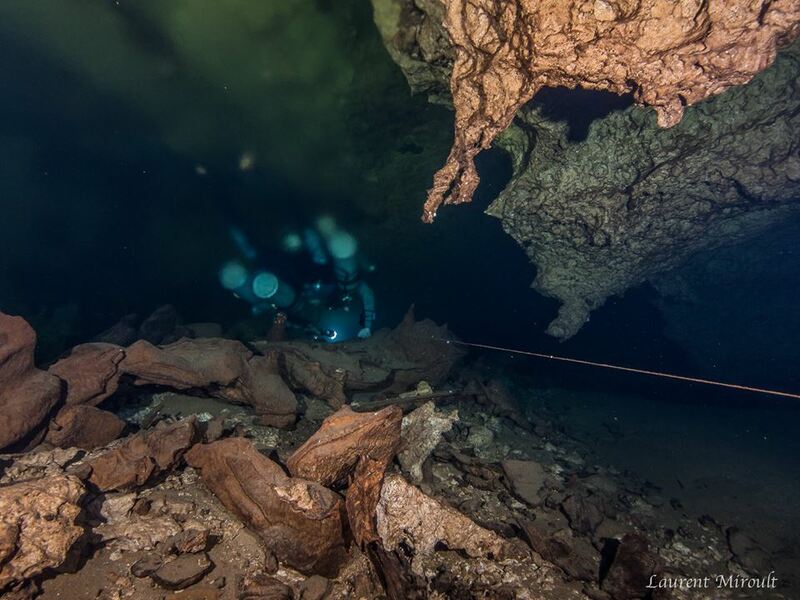 In September 2016 we found a new main conduit in a new section of la Cueva Quebrada. This new section is heading away from any other known areas of the cave and it is big passage. 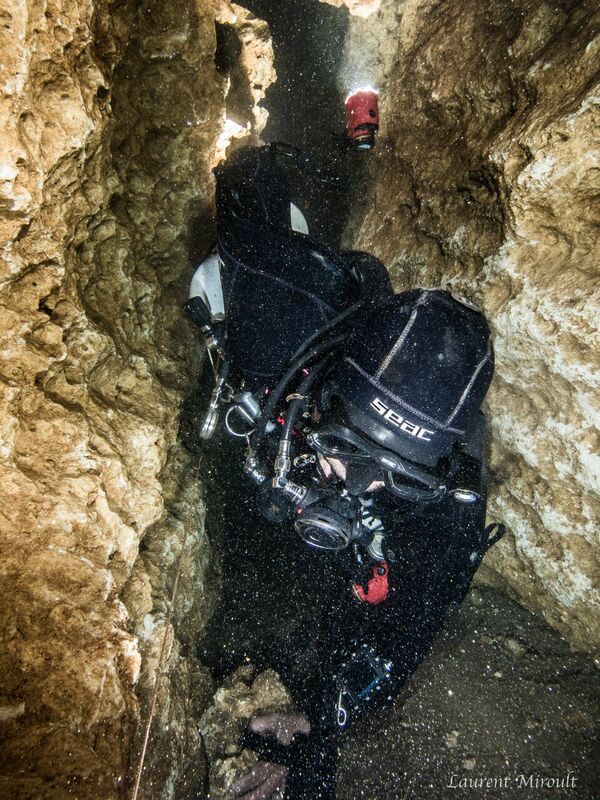 This is very exciting and we’re looking forward to continuing our exploration efforts in this section. 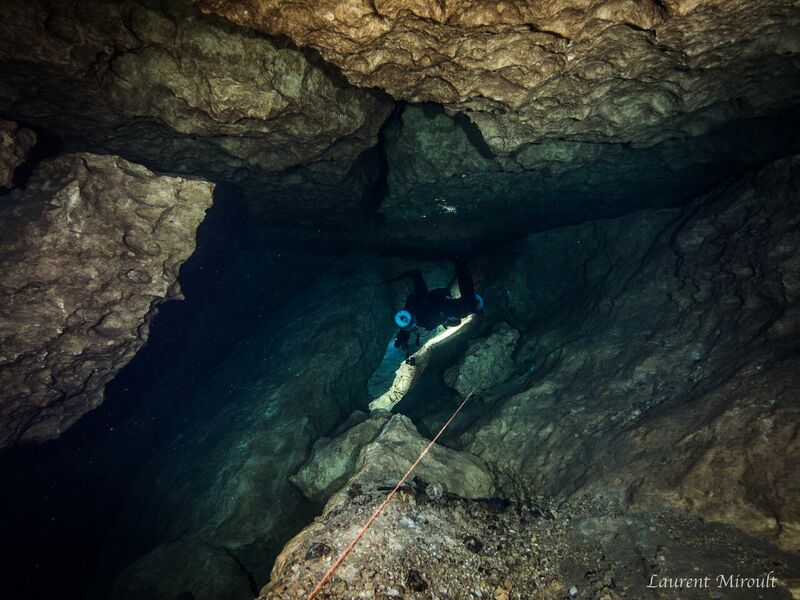 We’re still working on the Cueva Quebrada exploration and resurvey project. 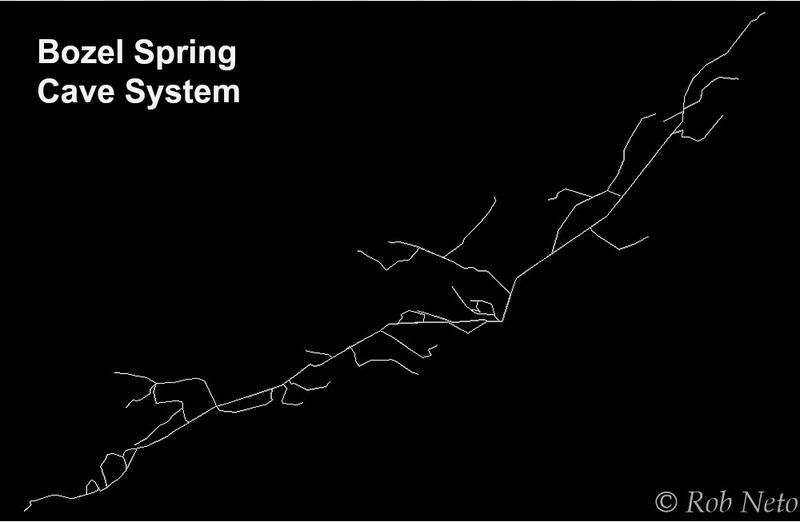 Once we have completed that we will add a map of the entire system. 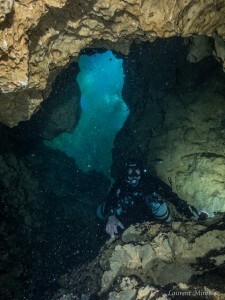 Here is a video from a cave in the southern area of the island. 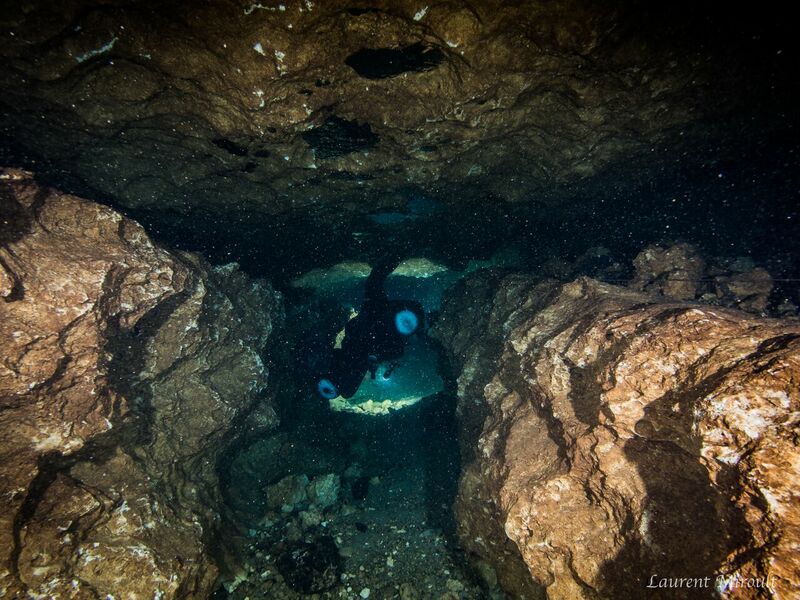 This cave is very different than any other cave explored on the island. 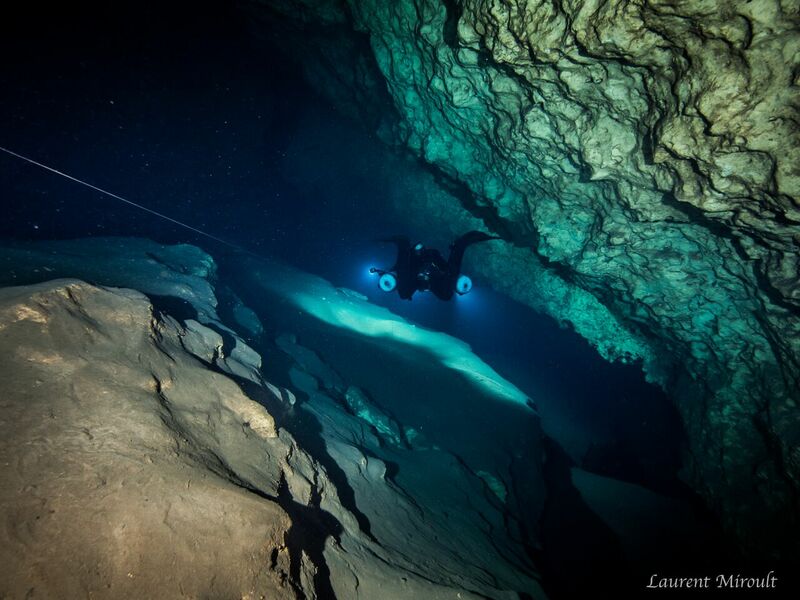 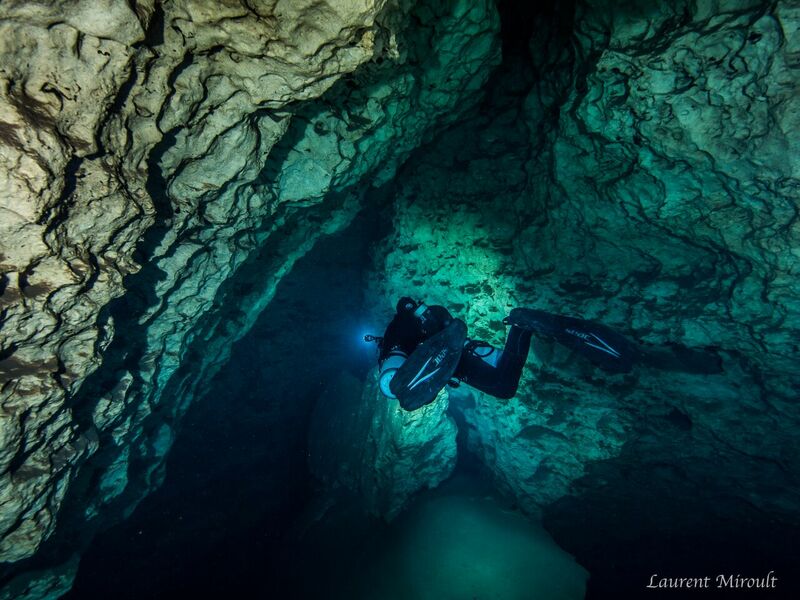 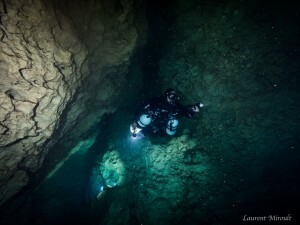 It is deep (shallow passage is 120 ft/35 m deep and deep passage is 180 ft/60 m deep) and colder (74F/22C). The passages also look very different. Studies are currently being conducted in this system and 4 new species have been discovered. 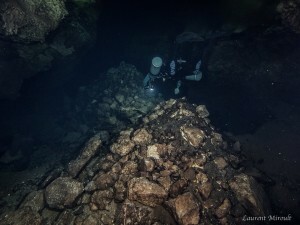 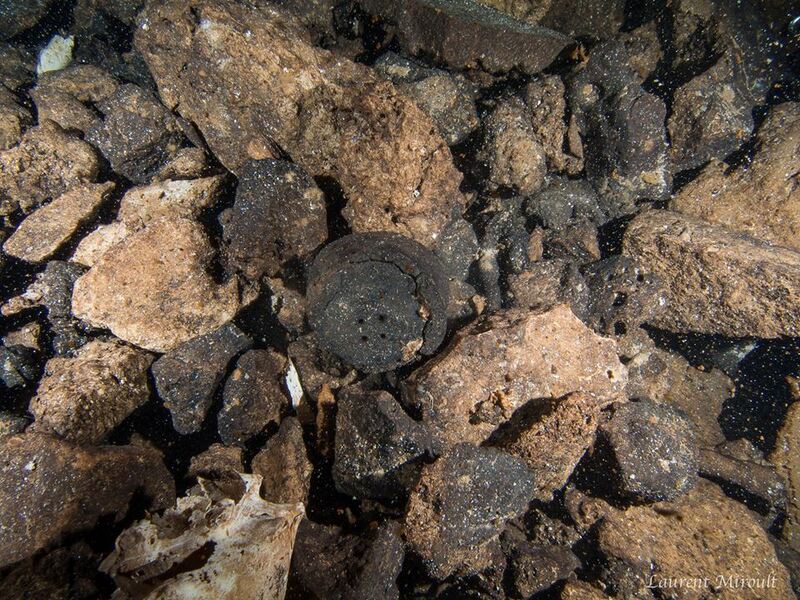 We began surveying the Bozel Spring System back in 2011 as well. The existing line was resurveyed as well as some additional passages that had not been previously found. 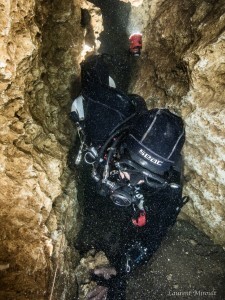 In 2014, a full on effort to explore and survey Bozel began. 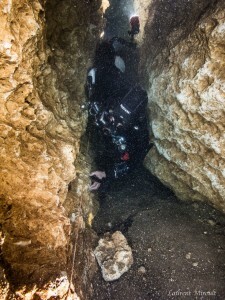 At that time Bozel had about 2500 feet of lined passage. We found several passages off the main line, including some very large passages and rooms and an additional sink hole! Today, the Bozel system has almost 5800 feet of lined passage!